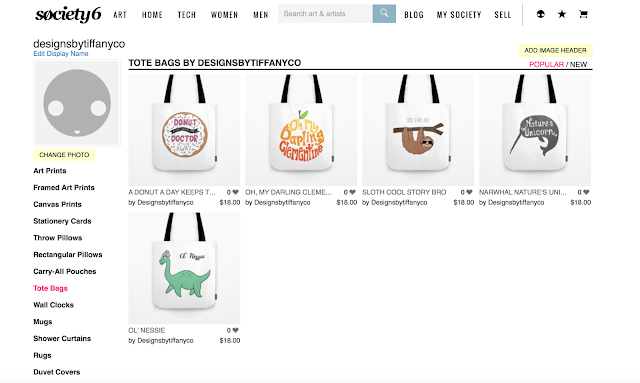 I’ve loved expanding my products, but I’ve decided to give Society 6 a try because they have SO many more products to choose from and they make it easy by printing, shipping, and handling orders for their artists! Through them I can now offer: pillows, clocks, shower curtains, tote bags, mugs, cards, comforters/duvet, beach towels, throw blankets, travel mugs, rugs, carry-all pouches, and canvas/framed prints. Just go here to find my Society 6 Seller Page! 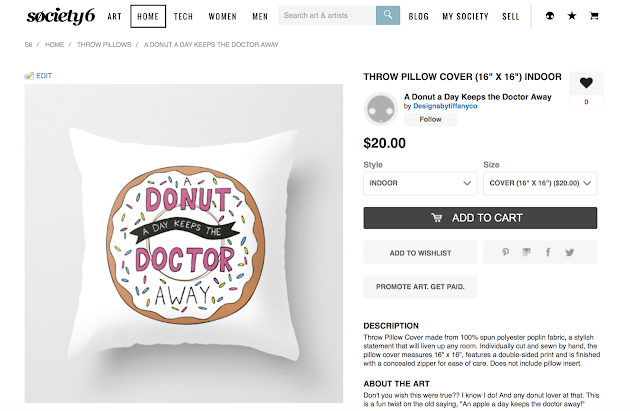 Not familiar with Society 6? It’s basically a shopping website where artists from around the world are able to upload their work and choose which products they want their art printed on. 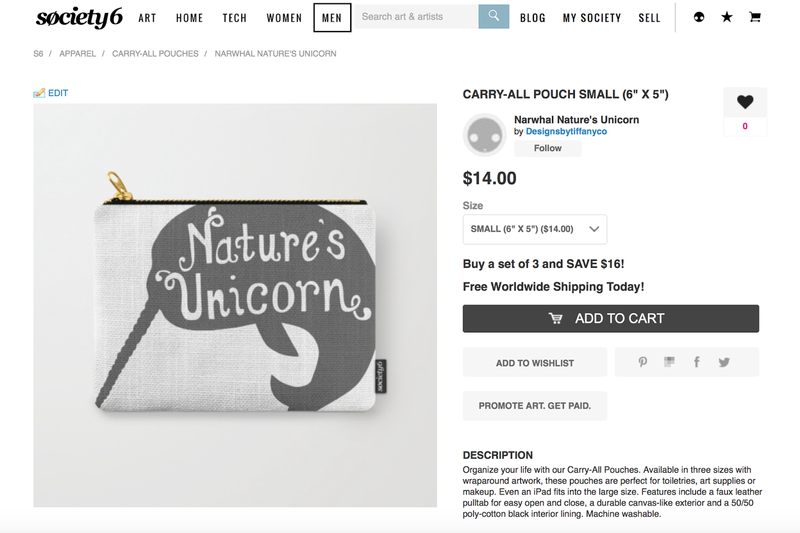 Society 6 takes care of the rest by handling orders, printing and shipping products to the buyer. Each product is high quality which ensures you always get the best! The higher prices come from serving quality products and giving artists a commission on their sales.